Description: •Power Options: Dual Voltage Electric Motors available in 1.5 HP and or 5.5 HP Honda with Cyclone Filter. •Stay-level blade guard for maximum safety in all cutting-head positions. •Sure-slide, cast aluminum cutting cart with miter guide. Description: •Power Options: Electric moters available in 5 HP single phase or three phase, and 7.5 HP three phase or 9 HP Honda with Cyclone Filter. 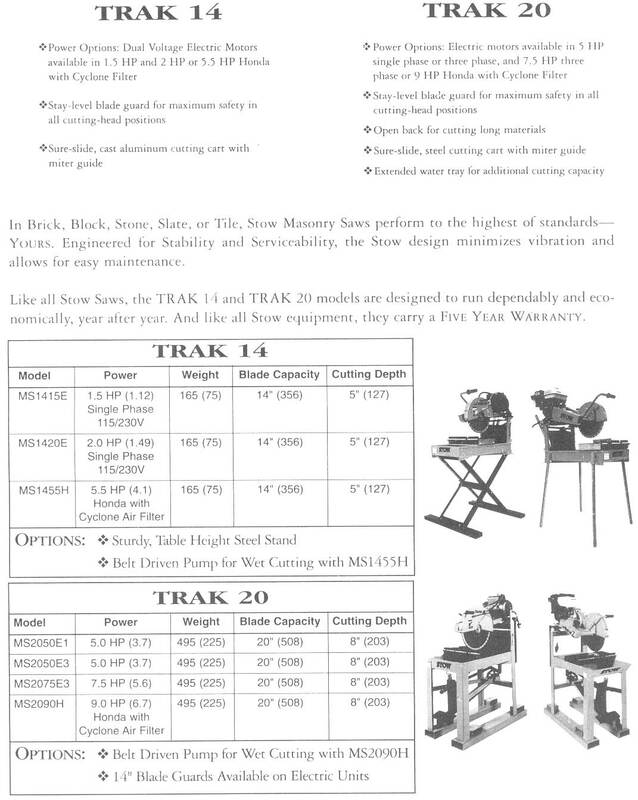 •Sure-slide, steel cutting cart with miter guide. •Extended water tray for additional cutting capacity.